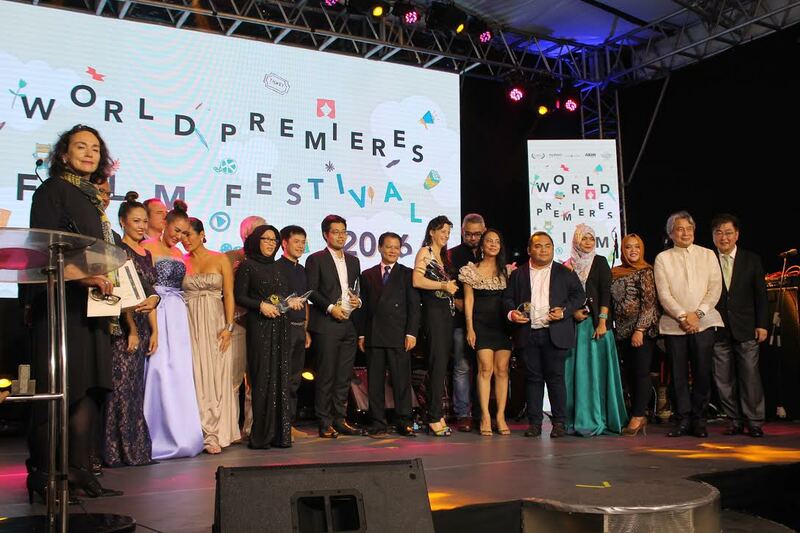 The World Premieres Film Festival (WPFF) 2016 has revealed its winners in an Awards Night held at Cinematheque Centre Manila on July 3, 2016. It was a celebration of cinema and camaraderie as filmmakers and guests from all over the world gathered together. The festooned Cinematheque courtyard was packed full with visitors, all dressed up and eager to discover who would be given top honors from this year’s WPFF. The attendees were treated to a round of refreshments and interviewed on their festival experience before the program started with a bang. Lively performances from world renowned violinist, John Lesaca and Pinoy world music band, Makiling, contributed to the festivities. 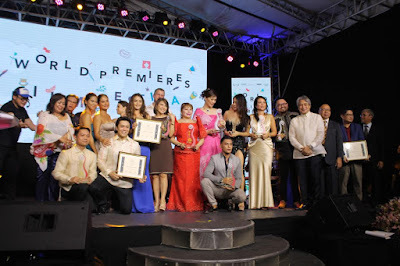 Audiences were presented with a look into what had happened during the festival opening night and gala premieres of the WPFF’s prestigious films, plus other special parallel events including the International Film Expo and the International Film Conference at the Cinematheque. The festival jury were introduced to the audience, and awards started to be given out to their lucky winners. The Main Competition festival jury was composed of Ms. Beatrice de Pastre, the Head of the Archives at the Le Centre National Du Cinéma Et De L’image Animée or CNC in France; Ms Menene Gras Balguer, the Director of the Department of Culture and Exhibitions at Casa Asia in Spain; and Mr. Jonathan Hyong-Joon Kim, a veteran producer who currently operates his own multinational production company Hanmam Culture Group, in the festival’s Main Competition. Next in the Intercontinental jury was Mr. Ernest Escaler, an acclaimed producer of film and broadway productions; Mr. Mike Sano, a film producer based in LA, and now back working in Japan; and Mr. Philip Cu-Unjieng, a journalist and columnist for the Philippine Star, as well as a renowned film critic. Mr. George David, the General Manager of the Royal Film Commission, Jordan, and President of the Board of Directors of the Association of Film Commissioners International; Mr. Theodore Roper, a partner lawyer of Freeman Freeman & Smiley, LLP, based in Los Angeles, who also serves as a counsel to a number of Japanese corporations in the film industry; and Mr. Paolo Lee, an executive producer for Chinese cinema, coproduction expert, film manager, and acclaimed filmmaker, headed the ASEAN Skies section. Heading the Filipino New Cinema section was Mr. Lav Diaz the acclaimed director of the recent Hele sa Hiwagang Hapis; Mr. Ruben Lopez-Pulido, the Director of Communications and Head of the Communications Unit of the AECID-Spanish International Cooperation Agency for the Development of the Government of Spain; and Mr. Butch Perez, an acclaimed Filipino filmmaker, famous films such as Haplos and Balweg. The jury had a daunting task before them, but all the awarded recipients were deserving of their honors—and what with the advancement and proliferation of local and world cinema at the forefront of the WPFF, all filmmakers were triumphant that evening. Top prizes went as follows, in the Main Competition: Yen’s Life directed by Dinh Tuan Vu from Vietnam received the Grand Festival Prize, and Daughters of the Three Tailed Banner directed by Gutierrez 'Teng' Mangansakan II received the Grand Jury Prize. In the Filipino New Cinema section, EDSA by Alvin B. Yapan garnered the Best Picture 1st Place, while Ringgo: The Dogshooter directed by Rahyan Carlos took Best Picture 2nd place. Beast (Philippines/Australia) directed by Tom and Sam McKeith received the ASEAN Skies Prize for Best Picture, while The Storm Inside directed by Fabrice Camoin won the Intercontinental Prize for Best Film as well as the Best Actress for Marina Foïs. As the festival continues through the week with films screening all over the metro, we remain blessed to be in the presence of such immense creativity, vision, and talent. From June 29 to July 10, the WPFF 2016 will be showing over 60 international films at the Cinematheque Centre Manila, as well as partner venues: SM Megamall, SM North EDSA, Greenbelt 3, the Shang Cineplex, and Uptown Cinemas. Films will be shown at a festival price of P100 at all venues, unless indicated otherwise. 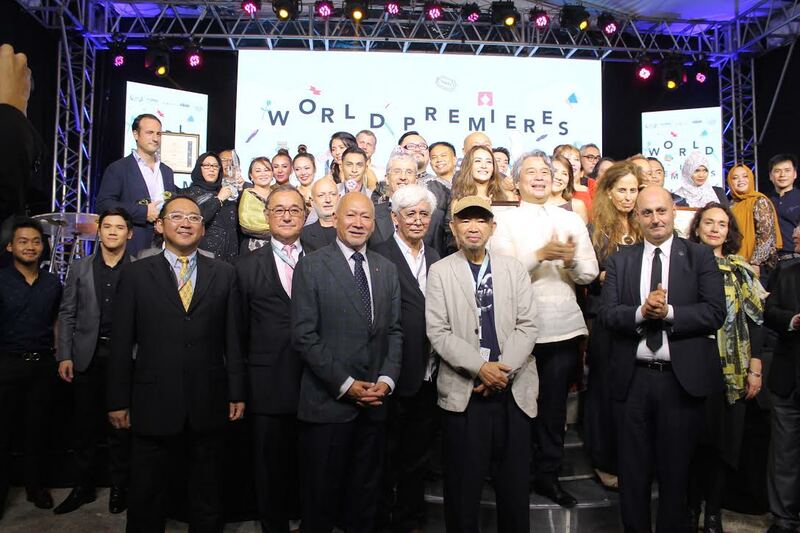 The World Premieres Film Festival Philippines runs until July 10 at the Cinematheque Centre Manila and all partnering cinemas. Throughout the Festival’s duration, expect a regular run of screenings.